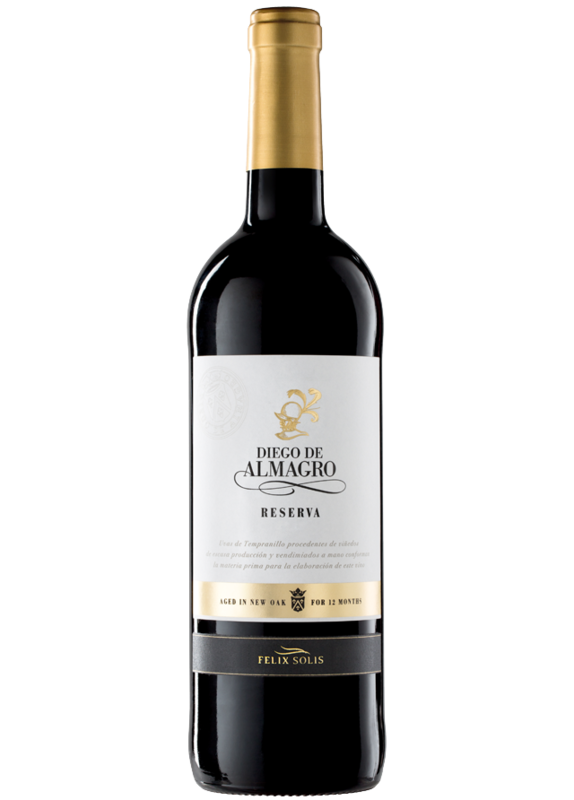 Diego de Almagro Reserva is made from a selection of only the best Tempranillo grapes chosen from old vineyards with small production. Having spent time ageing in oak barrels this variety produces wines with intense ruby red fruit aromas and hints of vanilla and spices. This wine is a brilliant cherry red in colour. This wine exhibits a powerfully long and consistent aroma, characterised by vanilla, chocolate, spices and jammy fruits. On the palate it is full-bodied, complex and elegant with well-structured tannins and a long smooth finish. A versatile wine that is an ideal match with grilled meat, poultry, game and Serrano ham and Manchego cheese. Through gentle maceration, expressive tannic compounds are optimised. Following fermentation at a controlled temperature the wine is aged in American oak barrels for twelve months. It then rests quietly in bottle for another two to three years to ensure a complete harmonised maturation is achieved.